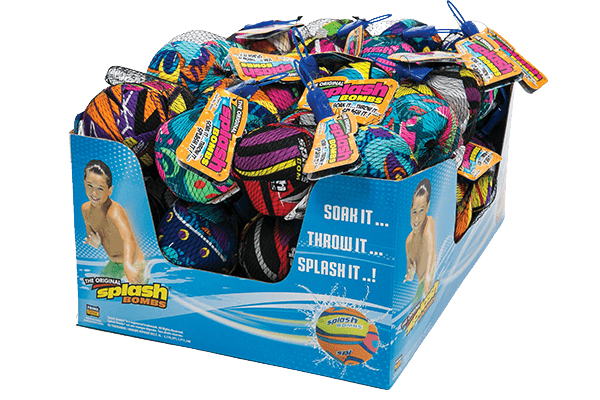 Splash Bombs Will Ensure That The Fun Arrives To Your Backyard! Prime Time International’s Splash Bombs are a must-have at the pool. Simply soak them, throw them or splash them! 2 Splash Bombs come in a pack for double the fun. This “splash-tastic” toy is recommended for children ages 4 and up.